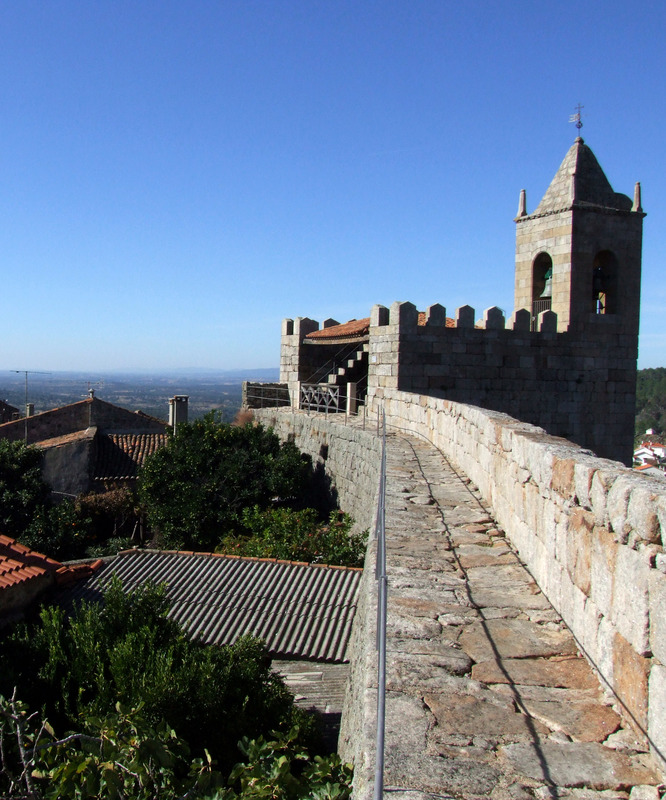 Overview: The Beiras part of the Border Castles Tour continues north through some of the most isolated, traditional and fascinating parts of Portugal. There are no fortifications on the scale of Elvas in the Alentejo but you’ll still see battlements, towers and spectacular settings aplenty – plus a Roman city only abandoned in the 15th century and a huge collection of rock art dating back into the mists of time. 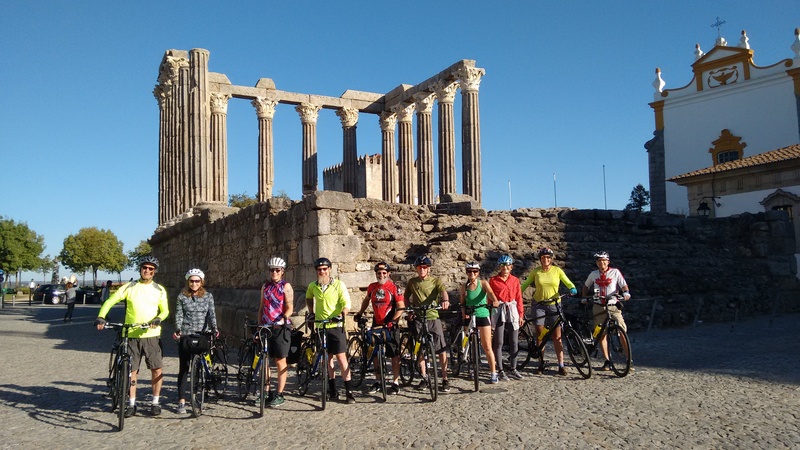 Beginning in Castelo Branco – which, despite its name, only has a few unspectacular remains – the section of the ride visits five ruined (but dramatic) castles and one well-preserved 18th century fortress. It ends at Vila Nova de Foz Côa, the local base to explore a 17km area containing Europe’s largest intact collection of Palaeolithic carvings – some of it 24,000 years old and now protected as a UNESCO World Heritage site. 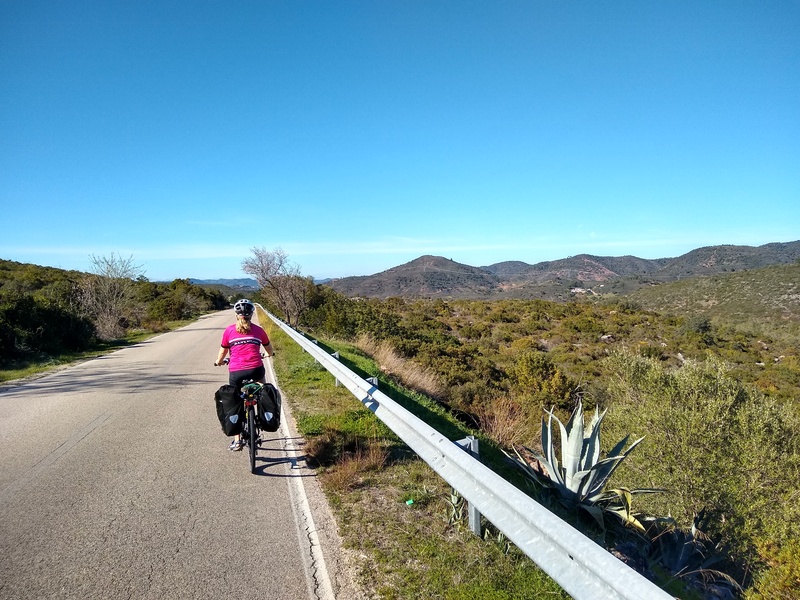 Distance & difficulty: Total distance from Castelo Branco to Vila Nova Foz Côa is about 241km (151 miles) – although there are options below to make the ride longer or shorter. The Beiras are more ‘undulating’ than the Alentejo (i.e. some bigger hills) but there are still no major mountain ranges and nothing that’s unlikely to defeat even a heavily-laden tourer assuming you’ve got some decent gears and/or reasonable leg muscles. Even where you’re on N-roads, it’s highly unlikely you’ll encounter much traffic anywhere on this route – including around the towns. Population levels are low and none of these roads are on the way to anywhere large. Temperature is more likely to affect your riding. The inland Beira region can get very hot in the summer – July-August daytime temperatures are unlikely to be below 30ºC and can be considerably higher. 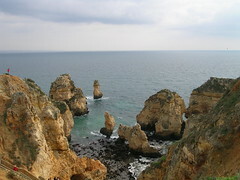 Conversely, particularly as you head north, this part of the Beiras can get bitter in the winter – daytime temperatures not much above freezing and snow possible any time from October through to March. As with the Alentejo, the other potential issue is supplies. There are NO large towns on this route – the biggest is Idanha-a-Nova with a population of about 11,000 in the whole municipality. If you need a bigger town, you will have to detour around 30-45km off route to Fundão (pop. 32,000), Colvilhã (pop. 37,000) or Guarda (pop. 32,000). The overnight stops suggested should provide what you need in terms of food and drink (as long as you’ve got no special dietary requirements) and accommodation (although not offering a huge choice). However, there will be long stretches during the day where options for buying food and drink – let alone specialised bike parts! – will be few and far between. Stages: Beginning from Castelo Branco, suggested stops and approximate distances would be: Idanha-a-Nova (41km), Penamacor (53km), Almeida (87km) and Vila Nova de Foz (64km). 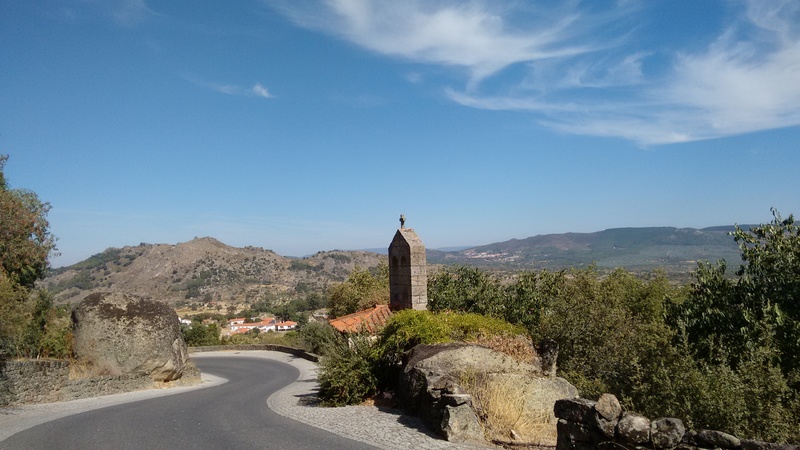 One obvious way of extending the route (and adding in one of the best castles in Portugal) would be to go from Penamacor to Belmonte – incorporating the Fantasy Castles day ride – and then on to Almeida. See below for more details and other suggestions. Details: In the breakdown below I’ve tried to give ideas of possible side-trips or where to simplify the route if time is short – plus a mention of any significant sights (or obstacles) along the way. The route shown on the main map above involves heading north east on the N233 then turning east on the N240 after about 9km. If you want to avoid the hill up to Idanha, the alternative option is to keep on the N233 for about another 15km and then take the N353 – which also shaves about 2km off the day’s ride. This might seem a short day but I’ve done it like that to provide an easy day for riders who’ve already completed the Border Castles – Alentejo section and want to rest their legs a bit! If you want a longer day on scenic, rural roads, try the 63km option using the map to the right. Alternatively, if you want a night somewhere magical, keep going to Monsanto (see below). Although Idanha-a-Nova is a pleasant enough small town with an Intermarché supermarket, cafes etc, there are no particular sights. The other advantage of doing this is that you don’t need to go up into Idanha and can completely skip the hill up into the town. 2. Idanha-a-Nova to Penamacor 53km: Another short ride but with two places to visit that are both worth an hour or two of exploration. Leaving Idanha, you retrace your steps for a quick descent to the river. Then it’s a long, steady climb for several kilometres. The scenery is very pretty, however, and the next stage of the ride is gentler with more rolling roads. Turn left at the roundabout near the village of Alcafozes. From here, it’s about 8km of gentle downhill to the turning for Idanha-a-Velha where, apart from the various ancient remains you should find a cafe. Returning to the ‘main’ road, you only head north for about 400m before taking the next right turn. This little single-track lane (which is sealed) will lead you through some gorgeous countryside. Dominating the view, however, will be the dramatic crag that’s home to the castle and village of Monsanto. The lane takes you around to the right of the hill and then you turn left and back on yourself for the climb up. Monsanto is quite touristy (for these parts) but well worth a visit and if you climb all the way to the top you’ll be rewarded with a stunning 360º panorama. Monsanto would make an alternative stop to Idanha but will probably work out a bit more pricey. There’s no campsite here but a number of ‘casas’ that rent out rooms, plus the Taverna Lusitania (doubles €55-65). From Monsanto, continue north on minor roads to Penamacor, another hilltop town. There’s not much left of the castle here except some battlements but it’s an atmospheric spot with wonderful views stretching to Spain! The local campsite is in a lovely setting but unfortunately it’s nearly 12km away. 3. 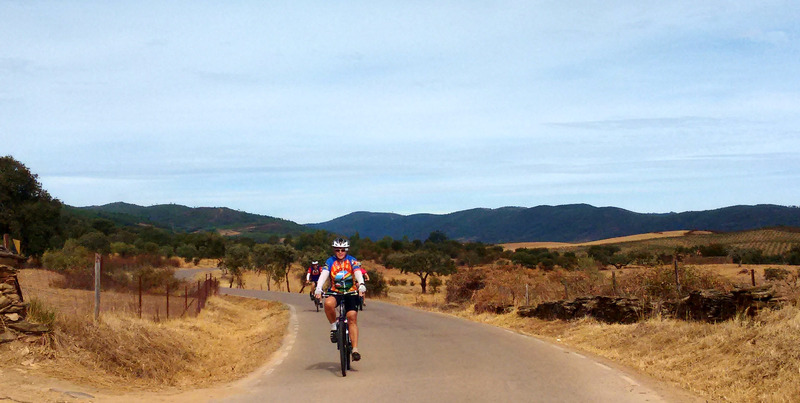 Penamacor to Almeida 87km: Other than stopping in Sabugal (31km into the journey), there is very little else to on this day except keep riding and enjoy the quiet countryside, wooded hills and occasional small village. The first part of the day also involves some of the most rugged scenery of this section. Follow the N233 north for about 13km, passing through the village of Meimoa, where there are a couple of cafes. Take the right signposted Reserva Natural Serra da Malcata and head up through the wooded hills with the reservoir off to your right. At the village of Meimão there’s a basic cafe. Watch out for cobbles and take the left fork in the road, not the one signposted Malcata. You’ll come back up onto the N233 and from there it’s an easy run down to Sabugal, where there’s a fairly interesting castle, a couple of eating places, some basic shops and a couple of places to stay if you want to break the journey. The simplest route on is to follow the N324 and N340, heading slightly east of north, all the way to Almeida, an undulating route across a very quiet rural landscape. Unfortunately it does end with a big hill when you cross the Rio Côa and climb up to town but the consolation is that the top of the hill is also the end of the day’s ride. If you would like a route that’s a bit longer (by about 11km) but probably more gentle and without the big hill at the end, head east from Sabugal on the N233-3 and then turn north on the N332, which more or less runs along the frontier with Spain up to the border town at Fuentes de Oñoro and then north west to Almeida. Almeida played a strategic role in Wellington’s strategy to turn the tide against Napoleon’s forces in the Peninsula War and still possesses some well-preserved fortifications. It also features as a stop on the Sea to Salamanca route if you want to turn either east or west here. Another option if you’ve got the time – and want to add two more castles to your list – is to detour from Sabugal and incorporate the Fantasy Castles circuit. This involves a small overlap of routes but only by about 7km and takes you via Sortelha, which to my mind is at least as fascinating at Monsanto, and Belmonte, a pretty small town with a 13th century castle tower and restored Jewish quarter among its cobbled streets. 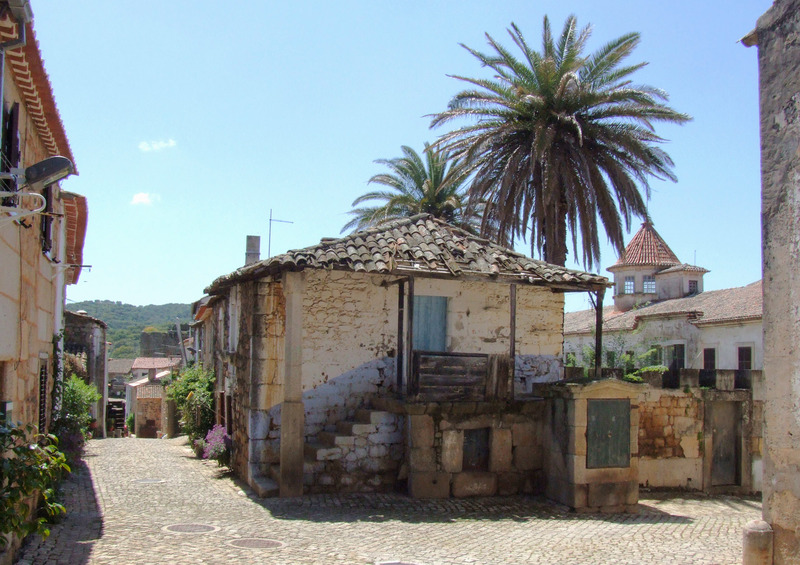 Overnight stops are possible at Belmonte, Sortelha and Sabugal – although I’m not aware of any camping options. 4. Almeida to Vila Nova de Foz Côa 64km: This is probably the toughest day in terms of terrain – and again the worst is at the end! It’s another ride through a rugged, remote-feeling landscape – some of the countryside is farmed here, some has reverted to wilderness due to land being abandoned as a result of long-term depopulation. Navigating is easy, you’re on the same road almost all day – the N332. You also get to visit two more castles. The first is the ruins at Castelo Rodrigo, where an ancient settlement that dates back to around 500BC is now largely abandoned – but partially restored, including a few ‘turismo rural’ accommodation options. About 3km beyond is the small town of Figueira de Castelo Rodrigo, where you’ll find shops, cafes and more places to stay. About 19km beyond Figueira, the N332 continues down towards the Douro but the road to Foz Côa turns left (north) on the N222. 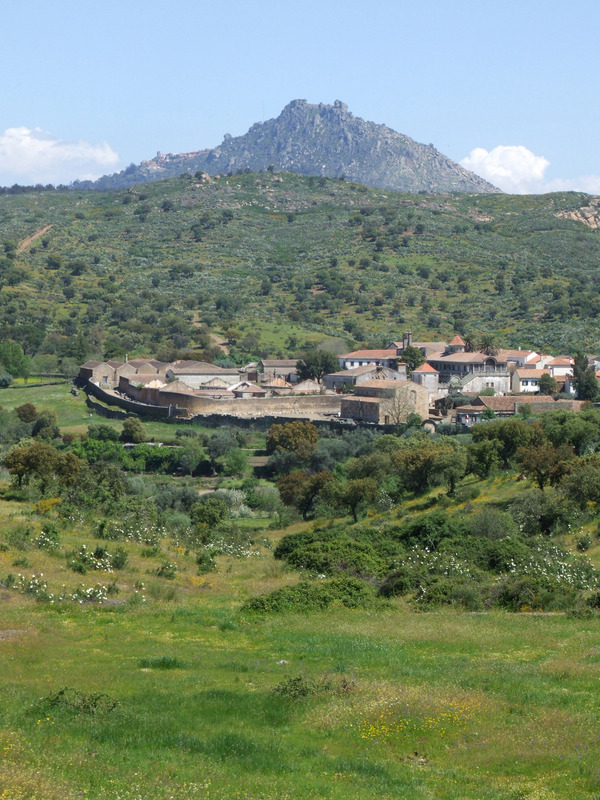 About 3km from the junction is Castelo Melhor, where a ring of walls encircle a rugged hilltop. There’s not a huge amount here but the views are spectacular. Beyond Castelo Melhor the road undulates along for nearly 5km to Orgal – then descends about 260m over the space of 3.5km as it drops to the Rio Côa. You’ll also get your first view of the Rio Douro as you follow the bends down. Enjoy the views. The bad news is that from the bridge over the Rio Côa it’s a 3.8km climb of about 220m to get up to the town – and there’s no other option! Moving on from Foz Côa you’ve got several choices. Descend to Pocinho in the Douro valley and take a train downriver towards Porto (there’s no road option here) or climb back out of the valley and continue into northern Portugal. Alternatively, the N102 will take you south towards Trancoso, where you could link up with the Sea to Salamanca route, connecting Portugal’s Atlantic coast with Spain. The towns listed as stops should provide most of what you need in terms of shops, supermarkets, accommodation etc. Most days you’ll also pass through at least a couple of towns or villages where you’ll be able to find a cafe at the least – check the map to be sure. Thanks for writing this nice and informative blog. My pleasure. 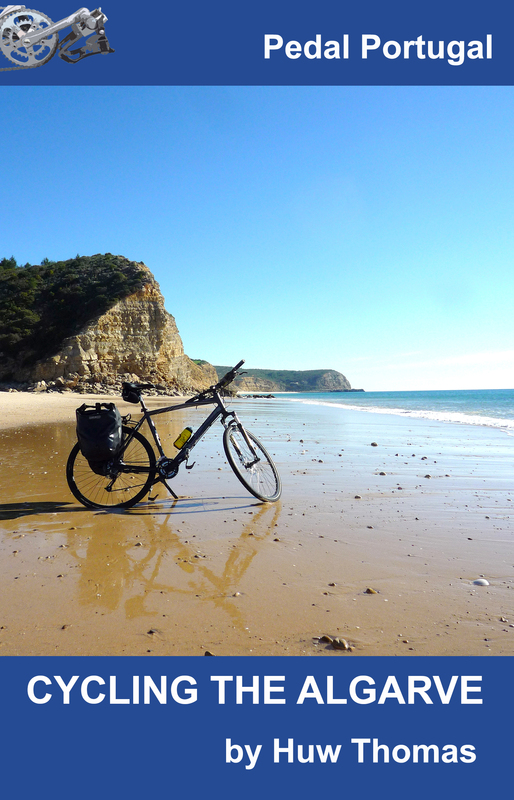 Love Portugal and love cycling there!